As you develop your knowledge skills and abilities as a snow sports instructor you become more valuable to your clients and your school. No one person, document, or resource can prepare an individual for their certification process. Rather a combination of individuals, information and resources will provide the best blend of expertise for a well-rounded training pathway. Please take responsibility to familiarize yourself with the policies, procedures, formats, and testing criteria before embarking on your certification pathway. If at anytime in your training program or testing process you need clarification, it is your responsibility to ask qualified individuals for clarity. If you choose not to question and research the information, you will probably end up with a less than accurate perspective on the certification process. This perspective is bound to influence the outcome. Be accountable for your success! 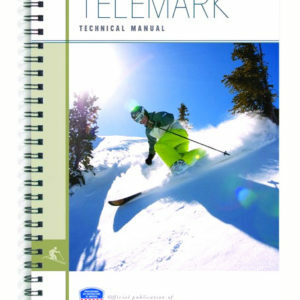 The purpose of the guide is to provide exam candidates, school trainers, divisional clinic leaders and examiners with an established outline to reference while preparing for, participating in, and administering the PSIA-NW Certification Level I, II, and III exams for Telemark. These two documents describe the Visual Cues of Efficient and Inefficient body movements in Telemark skiing. Use them to help your movement analysis. The purpose of the guide is to provide exam candidates, school trainers, divisional clinic leaders and examiners with an established outline to reference while preparing for, participating in, and administering the PSIA-NW Certification Level I, II, and III exams for Telemark. ***Please note, for successful completion of a certification, all components of the exam must be completed in the Northwest, partial module passes in other divisions do not transfer. These standards are the same across the country – transferable from division to division. Level III is the highest certification and meets International Snowsports Instructors Alliance (ISIA) standards. You can take your certification to a global level and teach all over the world.